Brenda Ann Pickett-Irby was born July 20, 1961 in Meridian, Mississippi. She went home to be with the Lord on May 18, 2018 in Columbus, Ohio. Brenda worked with the Columbus City School district for over 20 years. Brenda was born in Mississippi and moved to Ohio after her first two children were born. Brenda was a natural provider. It came so easy to her and all who came in contact with her grew to love her. Brenda’s life was taken too soon but the impact she has made during her time on earth is something to remember. Brenda is preceded in death by baby sister Deborah Pickett. She leaves to cherish her memory with husband Willie Irby, three beautiful children Cedrick (Nikita), Ashley, and Whitney Pickett, all of Columbus, Ohio, mother Ethel Mae Pickett, sister Juanita Pickett of Columbus, OH., and brother Raymond Pickett of Mississippi, also a host of half brothers and sisters. 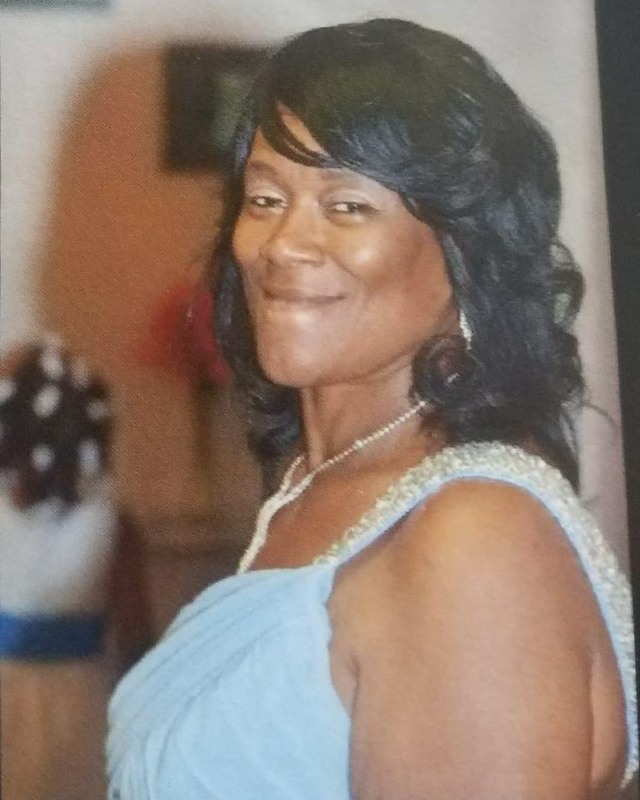 Brenda was a loving wife and an amazing mother not only to her children but to all who loved her including her niece Shanbrika Coney, nephew Danterrell and Cordero Pickett. She also leaves to cherish as what she says “her grandbabies” Alilea, Dathan, Ronmel, Cynthia, Na’kia, LaTaya, RickTaya, Ny’Laya, Levi, Ma’Kia, Chris Jr., and Elijah. Brenda will be missed by everyone who had the privilege of knowing and loving her. Visitation 10:00am and Funeral 11:00am Saturday, May 26, 2018 at Temple of Grace, 850 Studer Ave. There are no words to express the sorrow in our hearts. Please except our family sincere condolences. In just a little while all of the pain and sorrow that we feel from the death of our love ones will cease and be replace with joy, because the former things have passed . Thoughts of peace. There are no words that can ease the pain and sorrow the Pickett family and community of Columbus, OH feels right now. Ms. Pickett, you have taught me, my siblings, and many others lessons about life; like: to always love who you are & lead and do not follow! I pray for faith, strength, and patience to surround the Pickett family right now. We love you! Cheryl A. B. Christie, S. U. Mgr. Brenda served girls in our community for many, many years as a troop co-leader. Our sincerest, heartfelt condolences to the Pickett family. To the Pickett-Irby Family. May God give you all strength, to make it through this time of sorrow. Your loved one Brenda,was like a Sister to me.I knew her for over thirty years. We talked all the time. She was a Blessing to my family and I. She will be Dearly missed. But she will always be in our hearts forever. Rest In Heaven My Dear Friend–Until We Meet Again!! Our thoughts and prayers are with you during this most difficult time. We are grateful for the time we shared as a part of the Eastgate Elementary family. We are sending our prayers and condolences to all of you in the Pickett family. To Cedric, Ashley and Whitney: I am so very sorry. When I worked at Pilgrim with your Mom, she was also a Mom to me. I looked up to her, trusted her with everything and held her with such high respect. She was one of the most amazing women I have known who believed in the good of all people. She will be missed by so many people, whose lives she has touched. Hugs and much love to all of you. My prayers and condolences go out to Brenda’s family. I will miss my co worker friend, she was my light and my informant in my time on the plantation…Pilgrim and Eastgate….Miss you much girl!